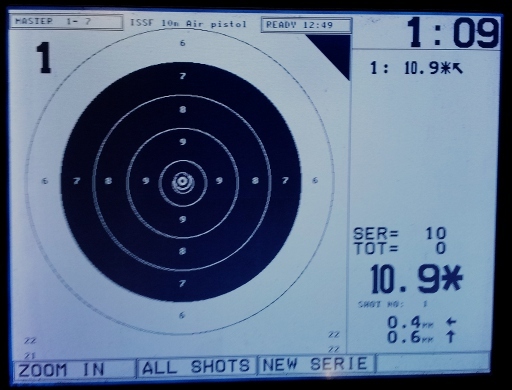 The rest of the match went quite well, I still haven’t achieved my goal of shooting a full match with no shots in the white, but it was closer this time and I broke 500 so that was a good match scorewise. 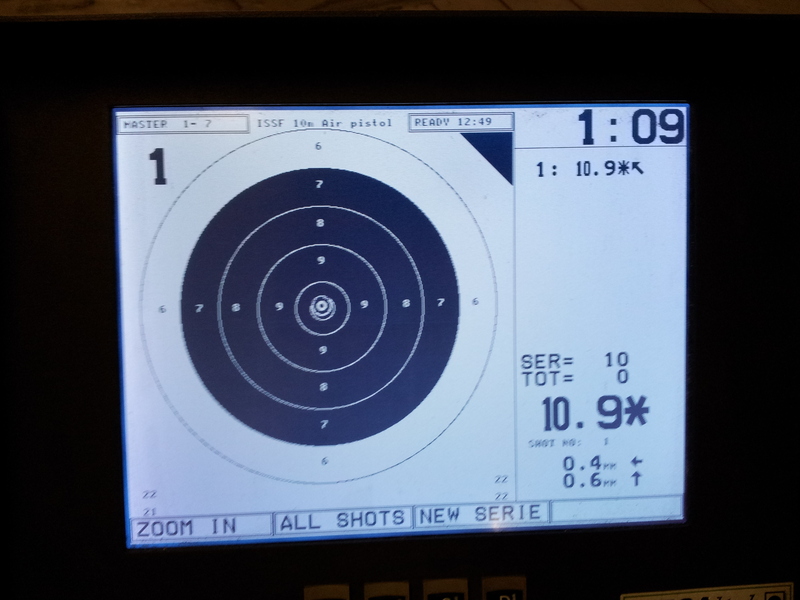 I forced myself to put down the pistol for 30 seconds between each shot for the first 40 shots; then took a longish break and then came back and shot the last 20 shots non-stop quite quickly; I think the results show the whole shoot-a-string-and-then-take-a-break approach beats the pause-between-each-shot approach. 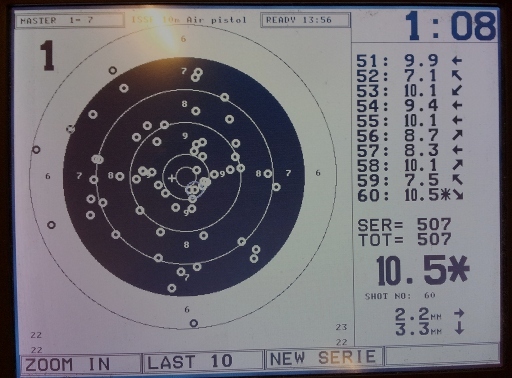 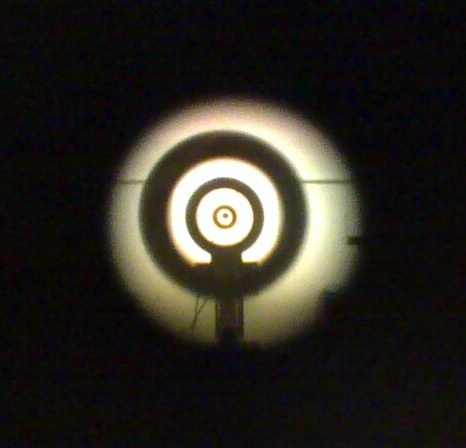 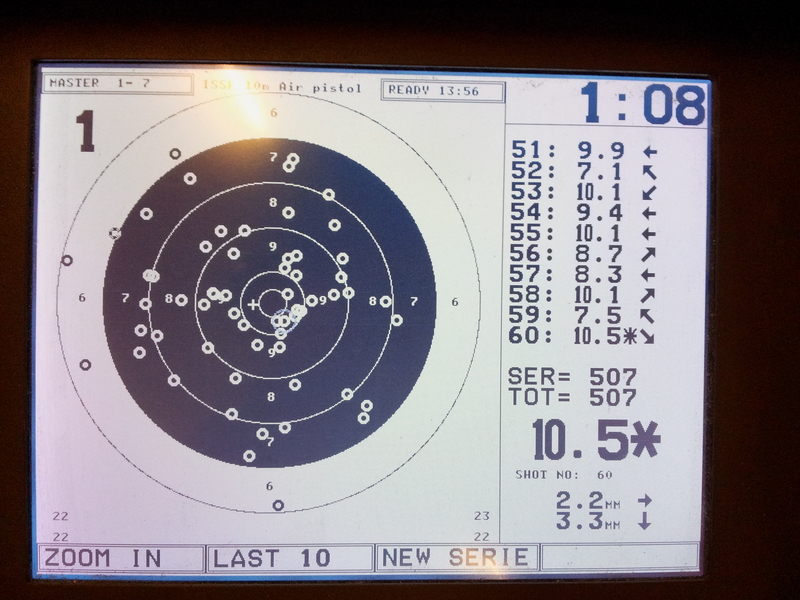 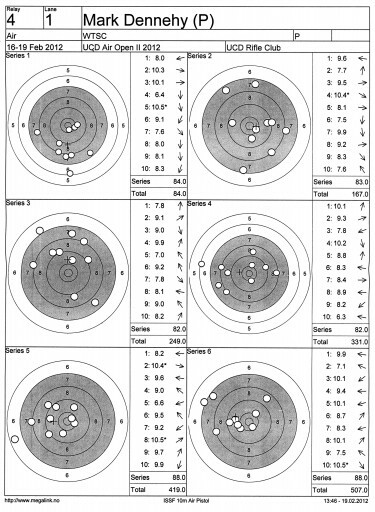 Posted on March 12, 2012 by Mark Dennehy in Events, General and tagged Air Pistol, airgun, beginners, UCDRC.